This segment features Mississauga’s Ward 1. Since opening its doors back in 1958, Dairy Cream has been a summer staple in Mississauga for their delicious soft serve ice cream, sundaes, milkshakes and other frozen treats (made with real cream and fresh ingredients). The small ice cream shack, nestled in a lot by Cawthra Road and Lakeshore Road East, draws hordes of people from all over the city, who wait in long lines that sometimes go down the street just to enjoy an ice-cold, tasty treat. Dairy Cream is celebrating its 60th anniversary this year as of April 1st. Located off of Lakeshore Road, east of Cawthra Road, Lakefront Promenade Park is one of Ontario’s largest waterfront developments with more than 104 acres of parkland. Being right next to the water’s edge, this park’s amenities include a protected harbour with extensive and tranquil boardwalks, walking trails, beach areas and the Lakefront Promenade Marina. It’s also home to the Port Credit Yacht Club (PCYC), responsible for famous sailing races like the Lake Ontario 300 Challenge and the Susan Hood Trophy Race. 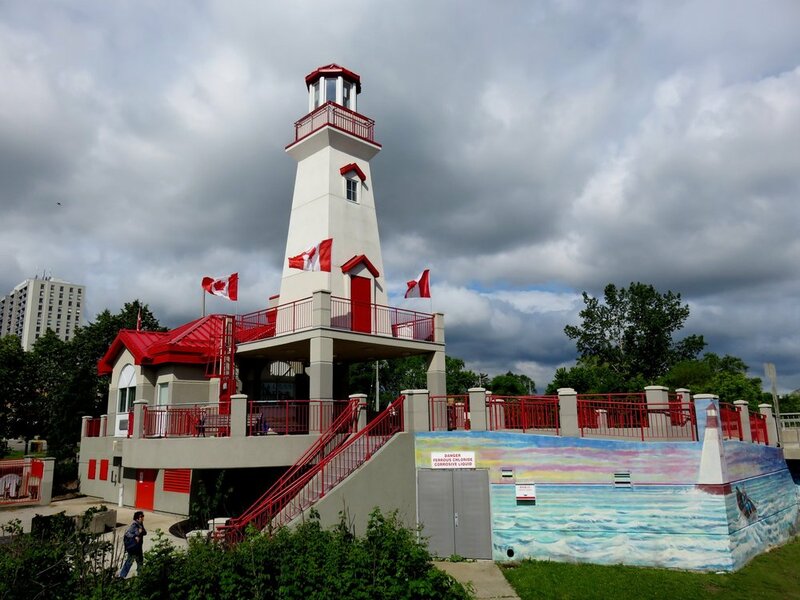 Aside from being a working beacon for sailors on the water (visible from up to 15 miles on Lake Ontario), this renowned red and white lighthouse is a Port Credit icon. It’s one of the most photographed buildings in Mississauga because of its distinct, eye-catching colour scheme, and acts as a visual centerpiece for the area. From its deck, the lighthouse offers a phenomenal view of the neighbouring harbour, Credit River, and the Port Credit village. Historically, it was built in 1991 to replace a previous lighthouse that was burned down in a fire back in 1936. Situated at the mouth of the Credit River and Lake Ontario, this picturesque Port Credit Memorial Park features leisurely walking trails, accessible playgrounds, and a gazebo. It’s home to yearly events like the Waterfront Festival, Port Credit Southside Shuffle, and it held this year’s annual Amacon Mississauga Rotary Ribfest. In addition, the Mississauga Music Walk of Fame, established in 2012, honours awesome, talented musicians from the city by engraving their names on granite plaques and displaying them on the park’s walking path. Inductees include alternative rock band Billy Talent, jazz and blues-rock vocalist Jeff Healey and jazz pianist Oscar Peterson. 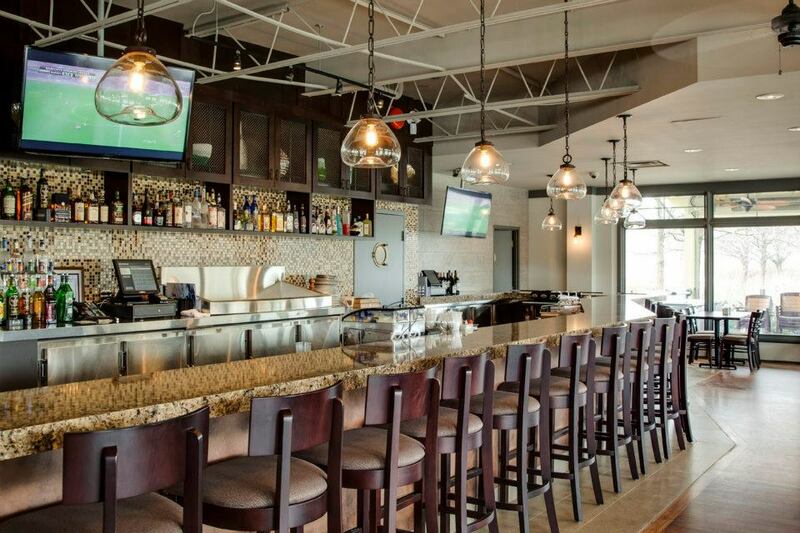 In the heart of Port Credit lays the picturesque, family-owned restaurant with a lakefront view. It’s adjacent to the Port Credit Marina, and an ideal location to watch the boats cast off and sail away on the Credit River. It features a spacious covered and heated patio so you can enjoy outdoor dining through spring and into the fall. Snug Harbour offers seafood-heavy dishes such as little neck clam chowder, oysters, traditional mussels, and rainbow trout — among other non-fish foods. Prices range from $15 - $30. “Drink, eat well, be happy” is the motto, Pump House Grille is the name. Opening its doors in 2003, this restaurant quickly became a grand fixture of downtown Port Credit. Here you can find many tasty dishes worth chowing down: whiskey salmon ($27), chimichangas ($20) or their famous wings ($15). An impressive selection of exclusive wines and a number of distinct brews on tap — along with long business hours, open past midnight Monday to Saturday — have solidified its place as a popular nightlife destination.